Gotham is up for grabs and the Scarecrow is leading the march to take it over. In this newly released trailer for Batman: Arkham Knight video game entitled 'Gotham is Mine', the rogues are out in force including Harley Quinn, Penguin and Two-Face to name a few. For the first time in the series' history, it received a Mature rating and by the looks of the trailer there might be a good reason why. It's dark and brutal with plenty of cinematic touches that ensure this will be another epic video game. The conclusion to Rocksteady Studio's run on Arkham drops on June 2nd for Xbox One, PlayStation 4 and PC. 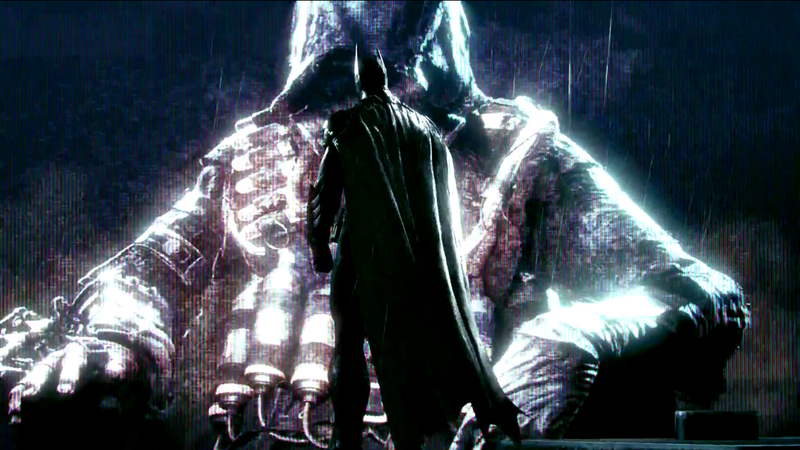 Arkham Batman trailer video video games Warner Bros.
Labels: Arkham Batman trailer video video games Warner Bros.